There are only a few differences between benefits offered by the Army and the Marine Corps. Since the Army is a much larger force with more slots to fill, it tends to offer more incentives and benefits than the Marine Corps. However the Marines also have some unique benefits the Army lacks. Anyone interested in joining either of these services should be aware of these differences. One of the greatest disparities in benefits between the two services lies in the area of education. Both services have resources for tuition assistance, no-interest loans, and distance learning that allow servicemembers to take college classes while deployed. However, only the Army offers a college loan repayment program for both enlisted soldiers and commissioned officers. Under this program, the Army will repay portions of college loans incurred prior to and during service. The Marine Corps offers loan repayment only to officers. Since the Army is such a large force, it sometimes has trouble filing critical jobs. 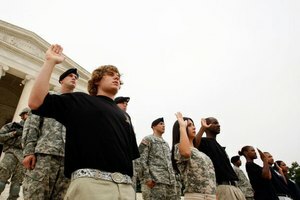 As a way to draw new recruits, the Army allows enlistees to guarantee the job they are going to perform before shipping off to Basic Combat Training. 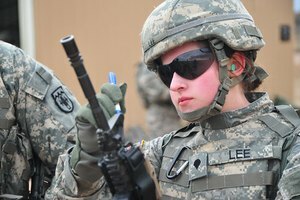 The Army also offers several bonuses for critically needed positions such as Infantryman, Intelligence Analyst and Unit Supply Specialist. The Marine Corps offers some bonuses, but not nearly as many. This is partially because people going into the Marines can select a career field but not a specific job, allowing for greater flexibility in assigning recruits to specific positions. Another interesting difference between the two services lies in their health care systems. 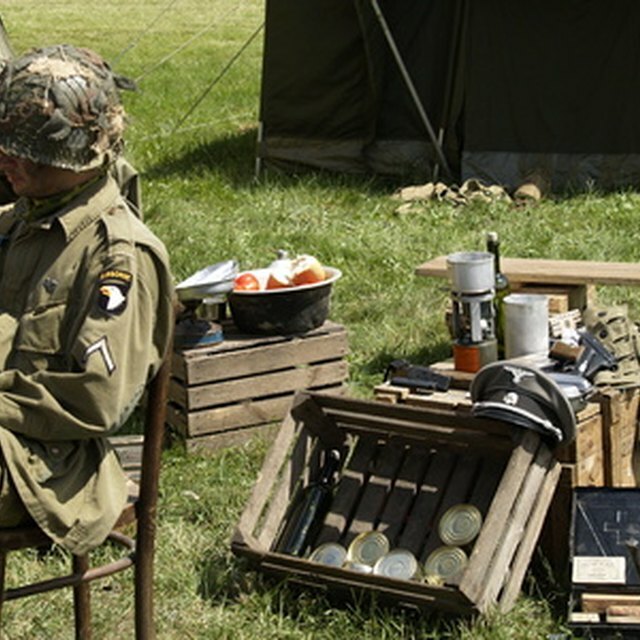 If a soldier is sick or injured, when he go to the medical center on post, he is treated by an Army doctor. The Marine Corps, on the other hand, is a part of the Department of the Navy and sick Marines are treated by Navy doctors. In fact, in Marine infantry units there is always a Navy corpsman present, which is the equivalent of an Army medic. Both the Army and the Marine Corps have support networks but the small size of the Corps help to foster a very close bond among Marine veterans. There are several Marine support organizations including Marine for Life and the Marine Civilian Development Program. Both services have programs in place that help their personnel transition from the military to the civilian world. 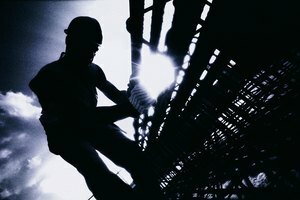 The Marine Corps's Transition Assistance Management Program focuses on helping Marines with financial and career planning. The Army has the Partnership for Youth Success. This program has developed partnerships with private companies that give priority consideration to Army soldiers during the hiring process. 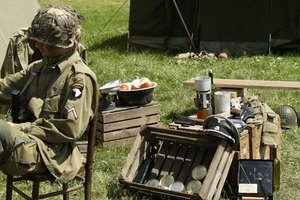 In the Army, soldiers who successfully complete 20 years of active or reserve service are classified as retired. They receive retirement pay and may be recalled to active duty if necessary, although this becomes less likely after age 60. 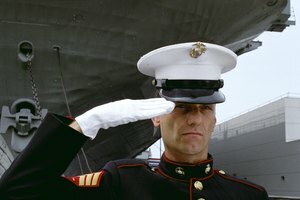 Once a Marine has served more than 20 years but less than 30, he or she is transfered to the Fleet Marine Corps Reserve (FMCR) and receives retainer pay. After 30 years of total service, a Marine is classified as retired and receives retirement pay. Marines can live their civilian lives while in the FMCR and in almost all circumstances retainer pay is the same as retirement pay. Both FMCR Marines and retired Marines are eligible for recall to active duty, though as with the Army, this is unlikely after the age of 60. Frazier, Liz. "Difference Between Army Benefits & Marine Benefits." 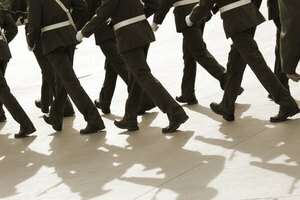 Synonym, https://classroom.synonym.com/difference-between-army-benefits-marine-benefits-13583266.html. 04 October 2017.